Trim my teeth all you want. They'll grow back, ... they'll grow back ... and we'll meet again. On my terms! Oh, poor little Timster Buns. I hope it isn't too bad or last very long. 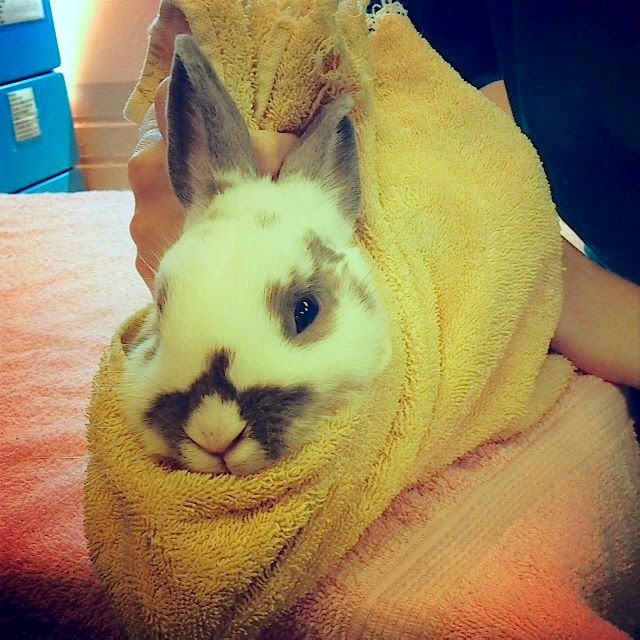 What a cute bunrito! Timmy Buns, you are a cutie! I want to kiss your bunny-nosie! However, I expect you Disapprove Of us hoomins! Hopefully, at least you can use your cuteness to bunipulate your hoomins into giving you extra treats! Got to be done - by some poor unlucky volunteer from the 2-foot slave brigade. Probably a V. E. T.
Winslet - thumping Wh*le F**ds on Sunday!